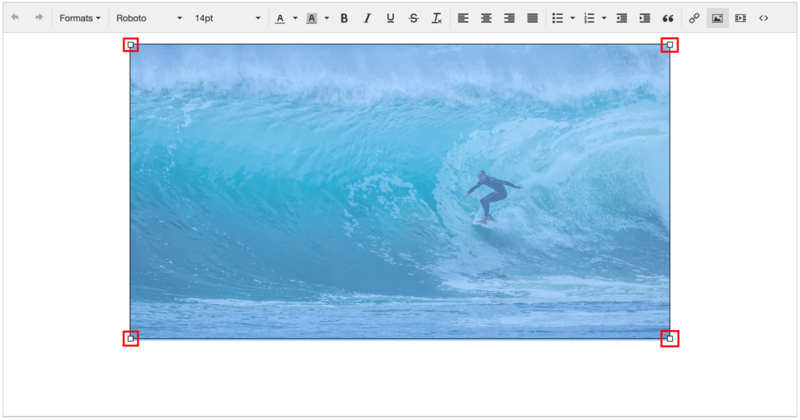 See Insert Images into a Blurb to learn how to upload your image into a blurb. After uploading the image, you can click on it to reveal 4 draggable corners. 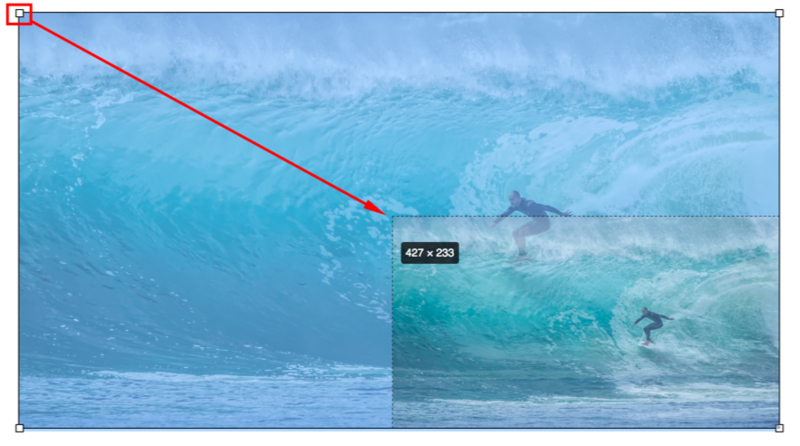 Pull a corner in or out to resize the image. Please note that resizing an image this way will not change the original file dimensions; only how it is displayed on the web. Therefore, generating a PDF may result in the image showing up differently than expected. In some cases, the file may need to be resized outside of Brandboom before being uploaded to avoid sizing issues.